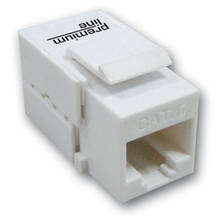 Premium-Line 180° unshielded keystone jack is in classical design, it’s compatible with all Premium-Line unloaded modules. 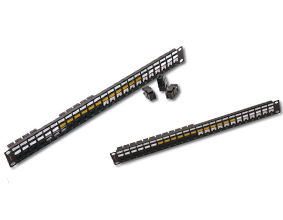 The dual type IDC accepts 22-26 AWG solid cables, easy terminated with 110 or Krone tools, supports T568 A&B wiring. 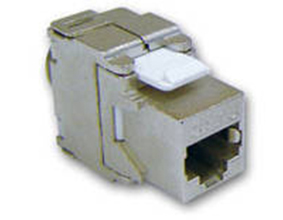 Premium-Line Category 6 90° unshielded slim keystone jack is the mini type of standard 90° unshielded keystone jack as its naming. All inner construction and characteristics are same as normal one. Premium-Line Category 6 180° unshielded shutter type keystone jack is ideal designed to protect jack against ingress of dirt, ease the work in field installation and future ports management. The rest is same as standard 180° keystone module, supports easy termination, accepts 22-26 AWG solid cables, supports T568 A&B wiring. The finish product complies with EU ROHS directive.